I was just offered a SSHRC from Carleton this morning! Carleton wouldn't release my ranking and just told me to be patient without taking my name or student number. So the waiting continues. Which office at Carleton do you call to check your ranking? How long did it take to get the results last year? I am so anxious!!! I had to make a decision about which grad school I was going to before the results came out. Now I am terrified that if I get a SSHRC, it will be for a school that I turned down. I am struggling to make a decision about what graduate school to attend. I completed my BA(Hons) in Human Rights and because it is not a traditional discipline, I worry about what to pick for an MA program as my end goal is apply for a PhD. I applied and was admitted to: York University for Socio-Legal Studies Carleton University for Legal Studies University of Calgary for Political Science Queens University for Political and Legal Thought I am stuck between Calgary and Carleton. Calgary has been courting me very hard and has offered 39,000$ in funding over two years. I have a supervisor who studies my exact interests in political violence and genocide, but the program itself it quite conservative leaning. It is a traditional political science program, which is not bad, it is just not what I am used too. Carleton has reached out to me and has offered 32,000$ in funding over two years. I have two potential supervisors who seem very nice, but their focus is a little different than my proposed course of study. The program is interdisciplinary and fits more closely with the human rights focus I am used too. I am worried that by choosing this program I will be closing doors for PhD opportunities. Carleton also offers better psychological health services compared to Calgary. Any advice on how to make a decision would be appreciated. This means you have been accepted, the official copy of the transcript they want is your final transcript once you complete your current degree. I was just accepted to the University of Calgary and was wondering about the city itself. I am from the East Coast of Canada and have never been West of Ontario. Any tips or tricks would be appreciated as well how you find the city, what you like to do, etc. I applied to 2 political science MAs and two legal studies MAs in Canada. (Calgary and Queens & Carleton and York). All of my programs are still under review right now. University of Calgary reached out to me two weeks ago to let me know that they are nominating me for a scholarship. I just finished my application to Queens this weekend as I had originally decided against applying, but the director of the department extended the deadline for me as I applied for SSHRC scholarship. Did anyone hear back from Canadian MA programs? 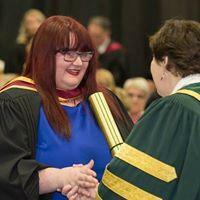 I am a Canadian who has a BA in Human Rights (Honours) from St. Thomas University with a 3.8 GPA, three conference presentations, and work experience as a TA and a research assistant. I have applied to: University of Calgary- MA in Political Science Carleton University- MA in Legal Studies York University- MA in Socio-Legal Studies All three programs stated that my application was under review by the department so I am anxiously waiting to hear back. The University of Calgary did reach out to me this week to say they nominated me for a scholarship, but it is not a guarantee of admission.